Baku's liberation on September 15, 1918 from the Armenian-Bolshevik occupation is one of the most glorious events in the history of Azerbaijan, director of the History Institute of the Azerbaijan National Academy of Sciences (ANAS), Academician Yagub Mahmudov told Trend in an interview. "This glorious event meant to rescue Baku from the Dashnak bandits and return the city to the Azerbaijani people. Baku, for a long time, was the center of the Shirvanshahs' state and in 1918 received the capital status again," Mahmudov said. "At that time, they wanted to deprive Baku of the national city status and Armenians looked at it as their future capital. 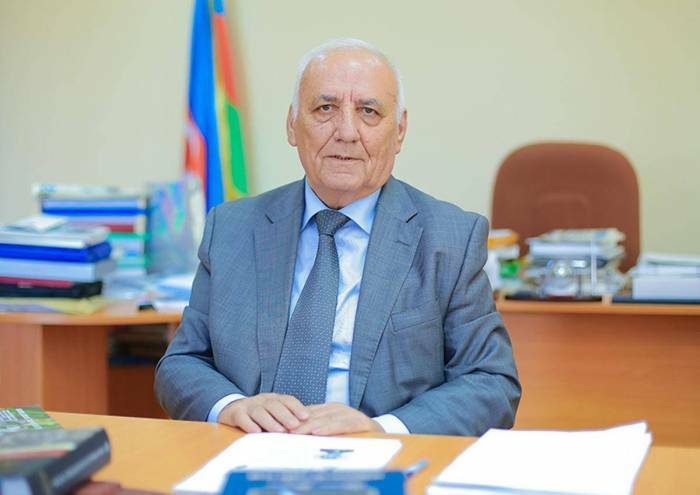 Baku's liberation suppressed this treacherous policy and Baku became an Azerbaijani city where national forces were concentrated," said Mahmudov. "As a result of the Ottoman-Azerbaijani military cooperation, the independence of the Azerbaijan Democratic Republic was preserved, the Azerbaijani army was created and after the liberation, Baku became the capital of Azerbaijan. And most importantly, the genocide, launched in the spring of 1918, by the Armenian-Bolshevik detachments against the Azerbaijani people was stopped. The liberation of Baku is a very important event in the history of the Azerbaijani statehood," he added. "Baku's liberation from the Armenian-Bolshevik occupation is an indicator of great heroism not only of the Islamic Army of the Caucasus led by Nuri Pasha, but also of the Azerbaijani people. Azerbaijanis played a crucial role in the liberation of Baku. The Ottomans helped us, but Azerbaijani people also rose. Our generals and volunteers also played a huge role in these events," Mahmudov said. "Alongside with Baku's population, Azerbaijani cavalry and Mashtagha detachment also actively participated in Baku's liberation. The Ottoman Empire awarded orders and medals to many Azerbaijani soldiers who fought in the Islamic Army of the Caucasus," he added.